The blue color is given by the characteristic EM radiation of C-H bond breaking, C- and H- radicals forming and recombining with O- radicals to form CO2 and H2O. This is independent of temperature and is the reason why a new gas oven's flames are blue. 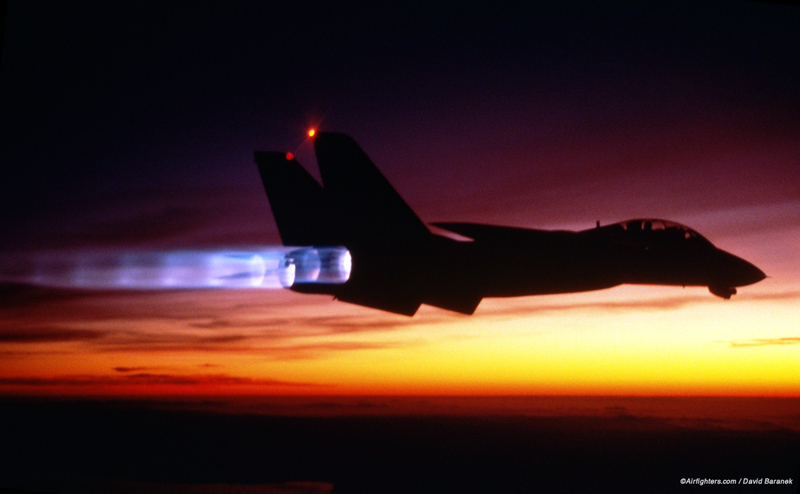 Western afterburners are a lot hotter than Eastern afterburners, to the point that the blackbody radiation color, which is dependent on temperature, dominates the radical color, which is independent of temperature. This seems to be the logical conjecture, given that the Russians have always been pretty poor on metallurgy. Does anyone have authoritative knowledge on this subject? This rumor seems to be circulating on the internet forever. EDIT: OK, the exhaust may seem a little purplish, that is caused by the emissive characteristic of H2O. 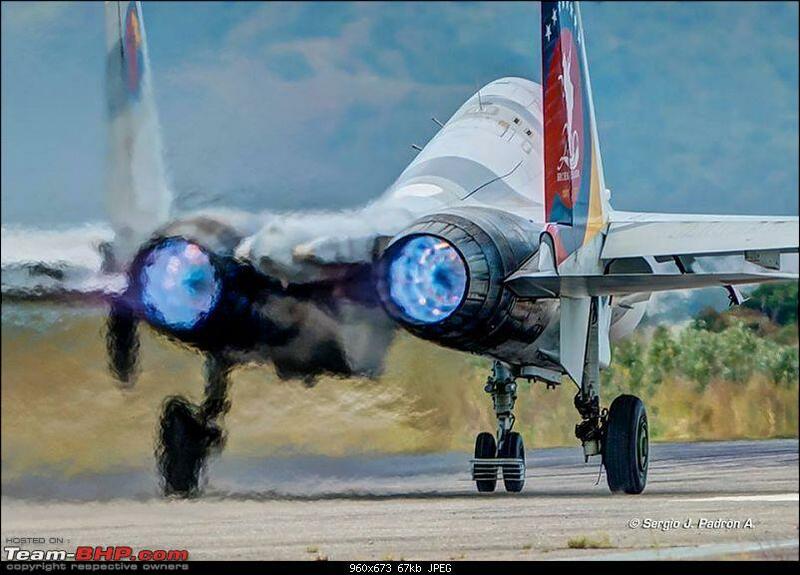 EDIT: Or maybe the Su27 and Mig29 just had a cold start and the inner walls of their afterburners still cold? EDIT: On closer inspection, the orange color seems to be solely coming from the glowing afterburner inner wall, as opposed to the exhaust, although the exhaust is glowing also. 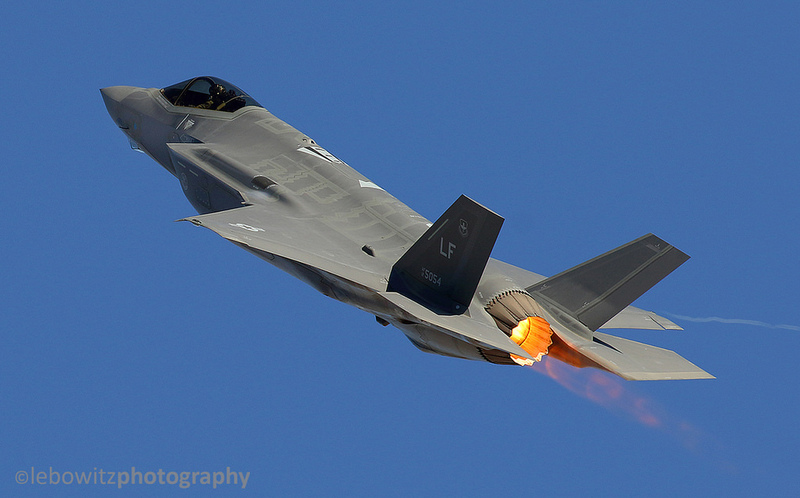 This seems to confirm my guess that Western afterburners run hotter. EDIT: OK, I've spoken to some guys from one of the ex-soviet design bureaus. One of them said the blue color is the result of cold afterburner and Sukhoi afterburner design, the fuel being dumped at acute angles into the center of the cylinder using a few big injectors. It all depends. I don’t think there’s a distinctive color between the two. 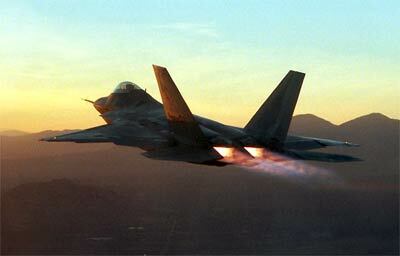 I would submit that the photos of the Flanker may be in a early stage of the afterburners lighting versus the photos of the Raptor or the F-35, which appear to be in full afterburner. The color of the exhaust gas is a function of the stoichiometric mixture of fuel and air ratio. It full burner the mixture is quite rich, resulting in a orange colored flame. 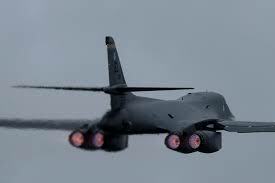 Lower stages of afterburner are probably much closer to peak stoichiometric mixture. Incidentally these blue colored flames are indicative of a much hotter exhaust gas temperature than an orange colored exhaust. I’m not sure of the reason why one is selected over the other. 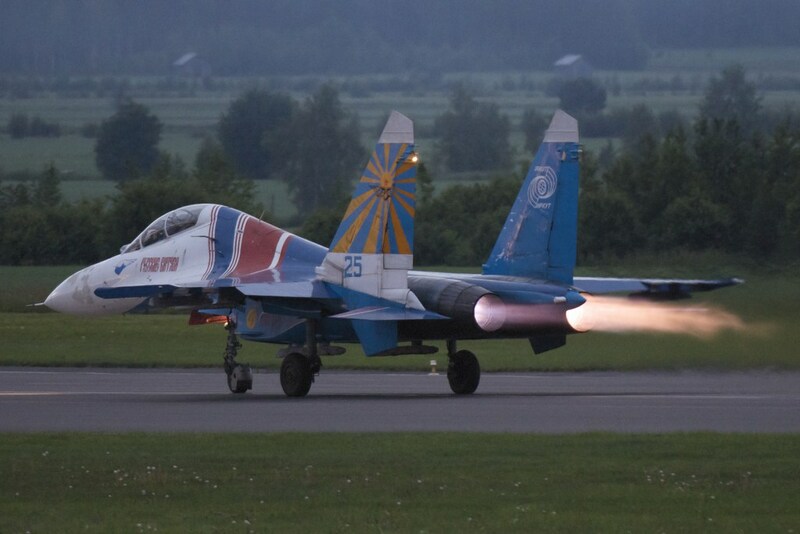 I can submit that there are plenty of photos of Russian aircraft in afterburner with orange colored exhaust and other pics of western military airplane with blue colored exhaust as seen below. Why do some fighters have two engines and other have only one but still give the same performance? Why are the intakes of some fighters not attached to the fuselage? Why is the nose cone of Russian fighters pointing slightly down? Why some WWII fighters still have fabric/wood control surfaces?